Development Horizons by Lawrence Haddad: Why should businesses invest in better nutrition? It's smart, sustainable and the right thing to do. Why should businesses invest in better nutrition? It's smart, sustainable and the right thing to do. 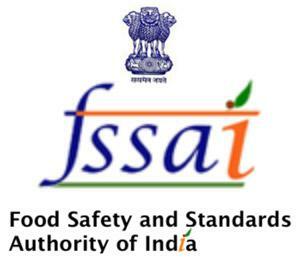 Earlier this week I was invited by the Food Safety and Standards Authority of India (FSSAI) to give a presentation to a gathering of CEOs of companies located in India on how to make businesses and markets work for nutrition. Why bother to make markets and businesses work for nutrition? and What do CEOs need to do? India would be home to a significant chunk of the $1 trillion. We know that healthier and more productive consumers will purchase more goods and services, so there is a smart rationale for businesses to invest in nutrition. But there is also a moral case. Malnutrition is very high in India as the Global Nutrition Report notes. This is too much for the government or foundations or international development partners to address on their own—responsible businesses have an obligation to add their know how, resources and skills to the fight. * Whichever country you are in, the pressure from consumers, health professionals and governments is going to lead to more regulation, taxes, and subsidy removals—all in the name of better nutrition. For example, see Mexico and the UK on soda taxes. The CEOs that quietly get ready for these changes will have a competitive advantage. So if making businesses and markets work harder for good nutrition is the smart, right, and sustainable thing to do, how to do it? So, making markets work for nutrition is the right thing to do, but it is also the sustainable and smart thing to do. As an international NGO, this is one of GAIN’s core goals, and that is why we are delighted to work with organisations like the host, FSSAI under the strong leadership of their CEO Mr. Agarwal. thanks for posting the important issue, about the sustainability according to my opinion , since ideally every business working for making profit rather then pay attention to the nutrition status of people (e.g production and sale of fast foods) , and the key actor for sustainability is the acting of governments , if the governments not able to regulate the implementation of standards, regulation and safety procedure at any time, the companies will not take care about producing of nutritious food which mostly less pay off than non-nutritious foods.